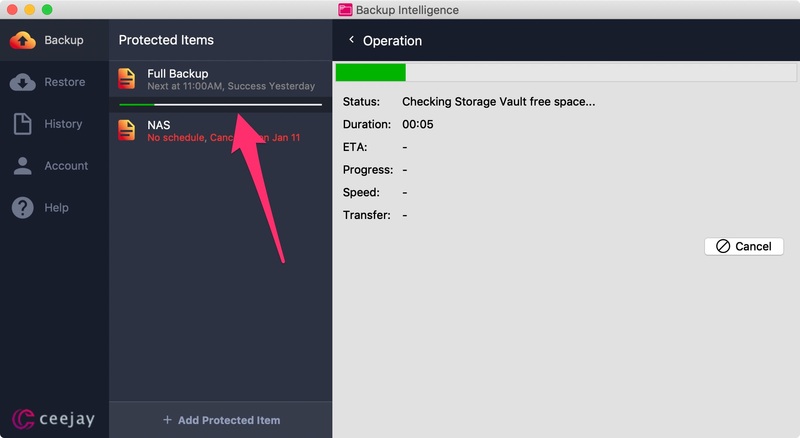 In order to cancel a running backup job, click on Backup from the menu, then click on the green progress bar located below the running backup. Then click on the cancel button. 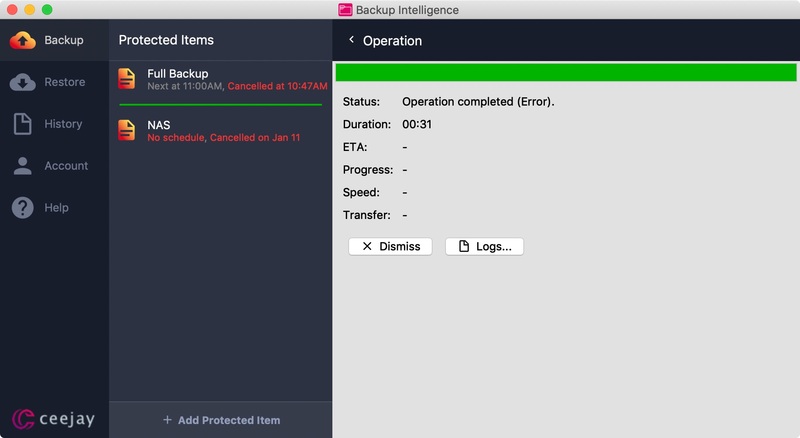 The backup job will then show as cancelled and the logs will show saying "exit status 1".